The New Year approaches! If I could go back to when I started this blog, I would strongly consider naming it the Friday Attention Report. We’re usually a lot better at the personal attention-getting than we are with getting attention for our businesses or blogs. My feeling it that most people have this wall standing between their business and social media. That they feel there is no way to connect being “social” with getting attention for their blogs when business or selling is somewhere in the mix. If you are out and about and you check-in at Foursquare to let your friends and family know where you are, you get responses from your network about the place, how lucky you are, or things to do there. So, how do you tie the social tools you use for business into being actually social? Watch what other marketers and bloggers are doing with their Facebook and Twitter accounts – they are more and more becoming social and sharing stuff with their fans and followers as if they are more a part of their lives – not just potential customers. I purposely left out tons of things to think about above because I want to hear your goals for 2011. Specifically how you plan to get more attention through social media and other means next year. Do you have deadlines attached to action items? What are you going to do more of in 2011? Sound off below and have a very Happy New Year! Now you won’t have to worry about formats of your Video and Audio files. You can now easily convert your any Video and Audio files in any of your relevant formats. 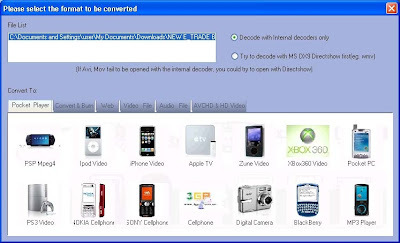 Total Video Converter is one of the best Video and Audio Converter Software. Its extremely powerful and full-featured converter software that supports almost all video and audio formats. The software is designed to convert video for your mobile video player as 3gp, mp4, PSP, PS3, iPod, iPhone etc and also VCD or DVD player, XBOX360. The New Total Video Converter let you experience Unparalleled High-Definition movie. It is the best and unique software today with incomparable support for converting and burning video to AVCHD disc which can work on PS3 and Blu-ray player. Meanwhile, it supports for converting and burning video to HD formats like H.264 TS, Mpeg-2 TS, WMV-HD, MKV-HD, DivX-HD, Divx-HD, MOV-HD, FLV-HD and MP4-HD. Download Total Video Converter Now to convert your all Audio and Video Files in your Recommended Relevant Formats. As we mentioned before in our article about Best E-Book Reader Device, In that article we had discussed about Amazon Kindle and Sony E-Reader Device, as they are most top rated E-Reader device today with fully loaded features and now Amazon has confirmed that Amazon Kindle 3rd Generation is the top selling product in Amazon's History. Amazon confirmed this news in its latest press release of holiday sales figure of 2010 and confirmed that the 3rd Generation Kindle is now the best selling product in Amazon's history. Holiday sales propelled the e-Reader past the previous reigning champ, Harry Potter and the Deathly Hallows. The WiFi and 3G version of the Kindle were the #1 and #2 sellers in the electronics categories, beating out the 8 GB iPod touch. The duo also topped the charts for the best-selling products site-wide on Amazon this holiday season. Christmas day was a banner day for the Kindle with the e-Reader boasting of a record number of activations, Buy Once, Read Everywhere app downloads and Kindle book purchases. Once folks fired up their brand new Kindle, they purchased The Girl with the Dragon Tattoo, which were the #1 purchased and #1 gifted Amazon Kindle book this holiday season. 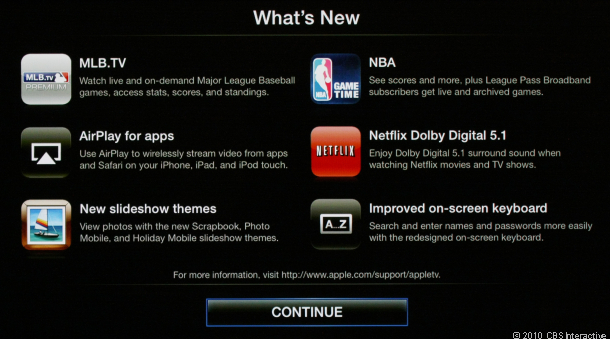 Better And Improved iPad Features! Before we have discussed about expected iPad 2 features which Apple going to be includes in its next iPad version. And now we are back with some more useful information’s and rumors which are focusing more on new features, the rumors actually come from anonymous sources in China, and have technical details about Apple’s next-generation tab. According to a report, the new iPad will be smaller and flatter, with better, improved speakers on board. That information comes by way of the Kanteidan Blog, out of Japan. It says the new iPad’s outer case will lose three millimeters from the length and width, which won’t affect the 9.7-inch LCD screen. Reportedly, the iPad 2 will also be flatter on its back side, in some ways emulating the iPod Touch. 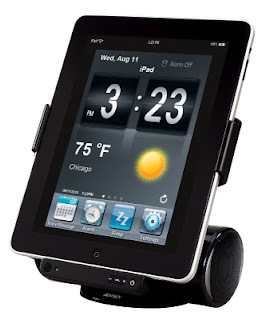 More important than the minor size changes are the iPad 2’s rumored on-board speakers. We heard something about openings on the rear of the case that have been speculated to allow for an SD card reader or USB port, but the source for Kanteidan Blog says the opening is actually for rear-facing, wider-range speakers. And as expected, the source also says the iPad 2 will have a front-facing Facetime camera, as well as a rear-facing camera capable of shooting video and high-definition photos. It’s not a ton of new information, and we’ve heard or expected to hear a lot of this stuff before. But the addition of higher-quality speakers may kill the idea that iPad 2 will support USB, something that was an exciting possibility for connectivity to various other devices. Seems that dream might be squashed. 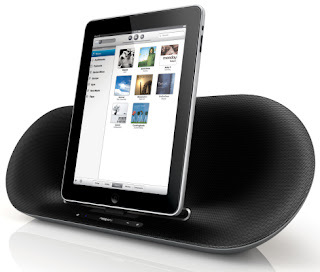 But for now you can use third party iPad Audio Speakers to enhance your audio output. Stay Tuned for more !! 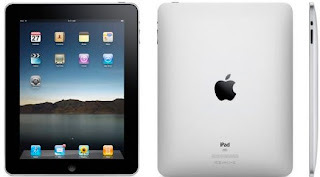 More Information about the new Apple iPad 2 has been leaked out today, claiming some unknown features and possibility the look of iPad 2. In addition, even when the rumors turn out to be true, Apple frequently tries to deflect users away from the correct conclusions. According to the sources Reuters is reporting that Apple is working on new versions of the popular Apple iPad 2. The new device will have two built-in cameras to use with Apple’s FaceTime video chat application that is available on other Apple platforms, and one to take pictures/videos. The device will also have a better screen, similar to the “Retina display” available on the iPhone. 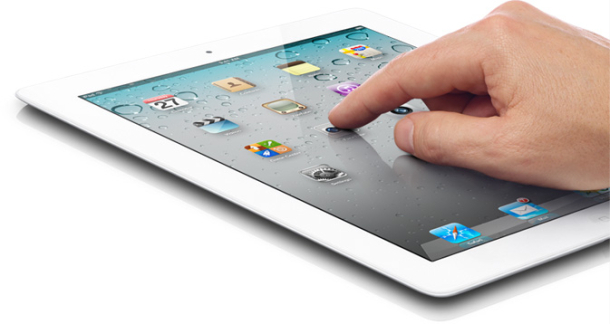 In addition to the above improvements, it is also rumored that Apple will be creating a smaller version of the iPad. The device is said to be nearly half the size of the current 9.7” screen model and will fill the gap between the extremely portable iPod Touch/iPhone and the relatively large iPad. Steve Jobs had dismissed this rumor back in October but according to the article, a source in the supply chain has said that the smaller iPads are on the way. Two most promising and popular Website in the word of Internet Facebook and Google share same popularity and fan following all over the world, But there is something people should aware about their Revenue Comparison. 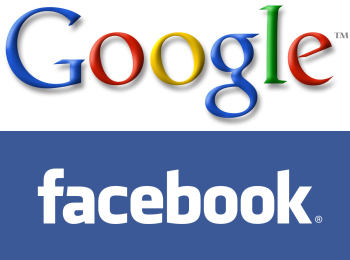 Facebook is now become one of the top competitor of Google and sometime internet expert thinks that they are true competitors, Despite the fact Facebook is slated to pull in $2 billion dollars in revenue this year, it’s behind where Google was six years after launch according to a recent report. Facebook is said to be worth $59.4 billion. Some are saying that Facebook may be a bigger money maker than Google, and private investors are scrambling to get a share of the stock that has surged over the past couple years thanks to private markets like SecondMarket, Second Shares, and other deals taking place behind closed doors. But check out the following comparison chart below. 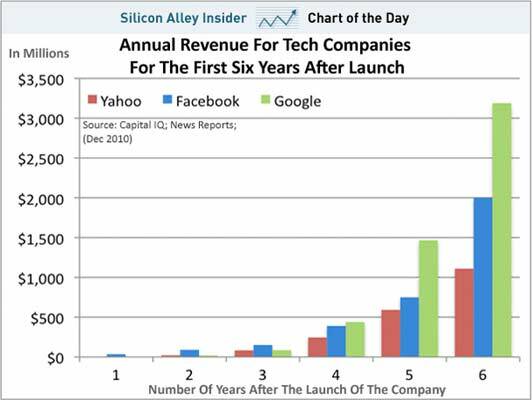 Looking at Facebook’s revenue growth compared to other online-advertising-driven monster companies like Google and Yahoo, it appears Facebook is well behind where Google was when the company was Facebook’s age. The most controversial website for leaking U.S Documents Wikileaks.org was shutdown before, because it was facing massive cyber attacks. But now Wikileaks came back online with a New Domain URLs. "WikiLeaks moves to Switzerland," the group declared on Twitter, although an Internet trace of the new domain name suggested that the site itself is still hosted in Sweden and in France. The original wikileaks.org domain was taken offline at 0300 GMT Friday by its American domain name system provider, EveryDNS.net, following reports of massive attacks on the site.A WikiLeaks Spokesman has said that Assange had to remain out of the public eye because he had faced assassination threats. Now you can access Wikileaks on its following New URLs. Microsoft released a beta refresh for Windows Live Essentials which saw a new feature in Messenger allowing people to chat with their Facebook friends just like talking to their Messenger friends. However, this ability was not made available on the Web version of Messenger and people could only chat to their Messenger friends. But this looks set to change. On the Windows Live Phone service (which Microsoft has recently tweaked), that we wrote about last week, it can be seen that a refined header is being used with a few new options and it features Facebook Chat integration. When hovering over the Messenger link in the header a Facebook category appears on this site. The status of contacts is shown just like within Messenger, if a friend is available to chat to they have a green icon and an orange one for away; if you are also friends with them in Messenger then they can also be set to busy which is a red icon. The chat box has also been tweaked to reflect the Facebook Chat addition as it is now possible to select which chat protocol is being used for the conversation. This feature also allows people to select SMS as a chat option. This feature has also leaked in upcoming Windows Live Messenger 2011 Screenshots. It has been rumoured that Microsoft will make available a release candidate of Windows Live Essentials 2011 soon and it’s likely that at a similar time they will also update the Windows Live sites. 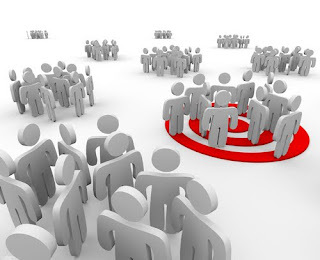 If you are really concern about your website traffic then you should focus on driving more traffic in different ways. Internet is a bunch of a website and every minute there is new website published and every new website needs a customer and visitors, because without any traffic or visitors there is no reason of making a website. The best possible way to get more traffic to a website is to build back links to your website or you can say the links which locate your website. Google and other search engines only consider a quality back links. So you have to focus on quality and do-follow back links. There are two types of back links which are counted. One is Do-Follow and other is No-Follow. Many people says that there is no used of No-Follow links but in my opinion No-Follow links have potential also as like Do-Follow. But the main thing that Do-Follow links can do for your website is to build strong back links on the eye of search engines. Which really helps your website to get more traffic? 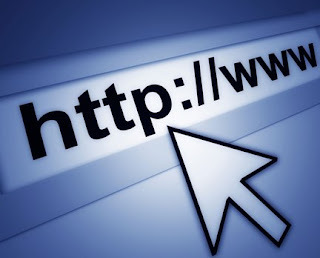 Many websites are providing opportunity for a webmasters to build back links on their websites. You can find many of them on Google. Just type “Do-Follow Directories”. You will find many website directories, do-follow blogs, social bookmarking websites, Do-follow articles, forums etc. Another yet important factor to drive traffic is Social Networking websites. Social networking websites are now one of the best and effective ways of providing traffic in time to time. Almost every person today using every social networking websites, some of the famous one is Facebook, Twitter, Friendsfeed etc. You can contact with people live and keep them update with your content then they will follow your website and you can get some potential customers from that social networking websites. We all know that everybody seems to be waiting for all new Apple White iPhone 4 and wants to know that exact release date of White iPhone 4. 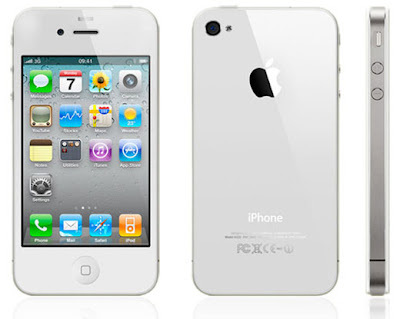 It has been observed that that new release date of Apple White iPhone 4 is delay till "Spring 2011" (or Autumn 2011 for those of us under the equatorial line). Exciting for some, we are sure it will certainly match the rest of Apple’s white products. Apple confirmed this new release date of White iPhone 4 in back of the following Apple Product banner. 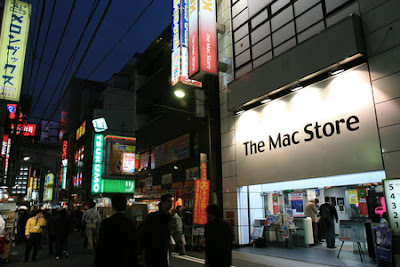 Apple has just announced that they are going to launch its Mac App Store doors on Thursday, January 6, 2011. The Mac App Store was unveiled as one of the new features of Mac OS X Lion, which will be available to users later in 2011. The idea behind the Mac App Store is to bring the same experience of finding, installing and updating apps on iOS devices to Mac OS X. For consumers, the Mac App Store promises a way to streamline the installation and app discovery process, as well as keep apps synced across various machines. Furthermore, unlike the iOS App Store, the Mac App Store won’t preclude developers from offering upgrades or variable pricing via their own storefronts. After the Success of Samsung Wave S8500 Samsung yet again come back with their brand new Smartphone the Samsung Galaxy Tab. This smartphone will be available soon in the United States through all four major wireless carriers. The Apple iPad has already sold millions and has a significant head start on tablet competitors like the Galaxy Tab, but the Galaxy Tab has a variety of compelling features and functions that could sway the decision between the two. Lets review the Samsung Galaxy Tab with Seven Major Points of its success. 1. Size. 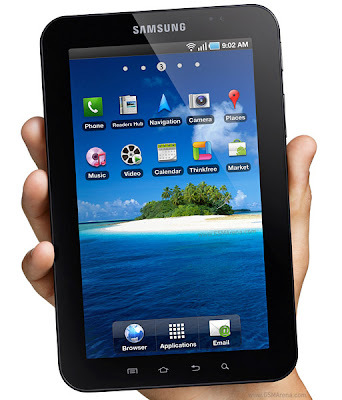 The Samsung Galaxy Tab has a 7-inch display. The display is smaller than the iPad's 9.7 inches, but is still large enough to be functional and differentiate it from simply being a large smartphone (like the Dell Streak). 2. Weight. At just over 13 ounces, the Galaxy Tab is about half the weight of the iPad. When holding it one-handed for extended periods of time, the Galaxy Tab will be less strenuous and more comfortable than the one and a half pound iPad. 3. SD Memory Card. The Galaxy Tab only comes in 16Gb and 32Gb models, compared with the iPad's 16Gb, 32Gb, and 64Gb models, but it has an SD memory card slot that can add an additional 32Gb of storage and bring it up to 64Gb. The memory card option also adds versatility and endless storage because it can be swapped out and provides a means of transferring data between the Galaxy Tab and other devices. 4. Cameras. While few will adopt the Galaxy Tab as their portable camera of choice, having the option to snap photos is a plus. More importantly, having a front-facing camera and video chat and Web conferencing capabilities is a benefit from a business perspective. There is a reason that cameras were one of the most speculated features before the iPad launched without them, and why they are the most rumored feature of the upcoming next-generation iPad. 5. Flash. Apple has recently softened its position slightly on Flash, but there is still no direct Flash Player compatibility within the iPad. 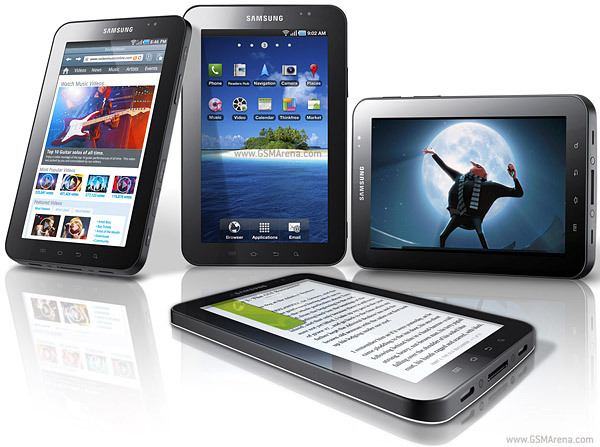 For those who feel Flash is an important element of the Web surfing experience, the Galaxy Tab is the way to go. 6. RAM. The Galaxy Tab has 512Mb of RAM--twice as much as the Apple iPad. More RAM means more apps can be actively run in memory without bogging the system down. 7. Multitasking. Android has true multitasking. Currently, the iPad has no multitasking other than the core apps like the iPod player that Apple chose to allow to run in the background. When the iPad gets iOS 4.2 in November, it will get the iOS 4 multitasking, but that is still a limited pseudo-multitasking that isn't as robust as what the Galaxy Tab has to offer. Everything you want to know about Google Update for the month of December, 2010. Your all answers should be cover in this Matt Cutts official video regarding Google Update Process for December, 2010. Matt Cutts (Google Software Engineer) have shared some useful information of Google Update covering following topics. When Google update Website Backlinks? When Google update Website PageRank (PR)? 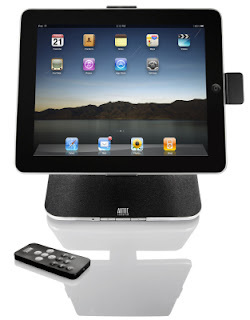 Now you can convert your Apple iPad into home theater entertainment device by using some surrounded and high quality speakers. 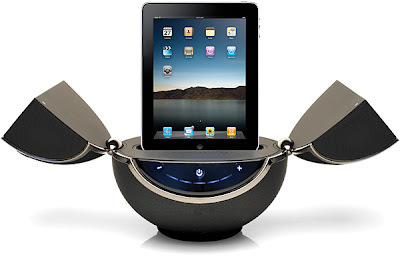 A speaker dock for your iPad would be a great investment for your entertainment you can use that speaker for your iPhone device too by just using any plug and play device. Besides offering vastly improved audio, it gives your precious ‘Pad somewhere tidy to sit and charge. If you want to enhance the quality and want to boost your iPad’s audio for music, movies or gaming, we have got five surrounded speakers docks that offer different functionality and suit different budgets, from $80 to $300 from Amazon at discounted price. 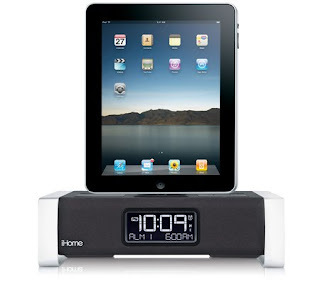 Following Speakers Docks will truly enhance your iPad Audio Quality and provide you best output. Choose and Buy the best one according to your needs for your equipment from Amazon Store. This budget option won’t blow you away with its basic speakers, but it will offer a sound boost for music, movies and gaming. It can be used horizontally and vertically (with adjustable viewing angles) and boasts video line-out for playing your iPad’s content on the big screen. This good-looking speaker dock claims to provide “room-filling sound” from two speakers and charges your iPad while docked. The stand pivots for both landscape and portrait viewing with multiple viewing angles. The included remote will allow you to control your ‘Pad from the sofa — all of which adds up to a tidy product for film fans. This promises to be a rather neat desktop solution. 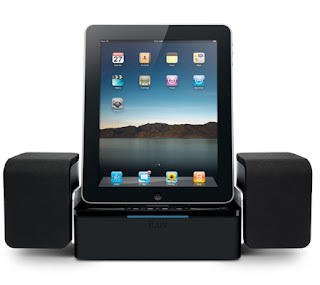 iLuv’s Audio Cube is a great option for music lovers as it will only dock your iPad vertically, but offers great sound. In addition to charging the device, there’s also the option to sync your tablet with a Mac or PC while docked. The Fidelio has a few tricks up its sleeve — as you might hope for that high-end price tag. Besides docking and charging an iPad, it also boasts wireless Bluetooth streaming so you can hold your iPad (or use it in another stand) while the audio streams from the Fidelio. Its rechargeable battery is good for up to five hours playback on the go and the free Fidelio app offers enhanced alarm functions if you want to use the dock on your bedside table. Today, I am going to share my personal experience and review about Best E-Book Readers. Many people always get confused about which E-Reader are suitable for them and which E-Reader they should buy. So here's my Review and Experience about two top E-Readers Gadget from most promising companies. 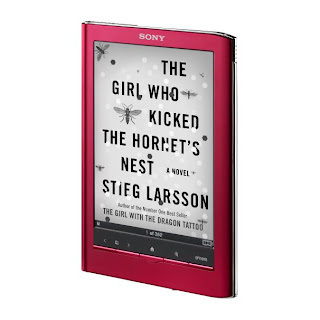 "Amazon Kindle DX Wireless Reading Device" and "Sony's E-Reader Touch Edition (PRS650RC)" . Technically both Amazon Kindle and Sony E-Reader Touch are best in their own way, But some of the different features between them are as follows and you can compare both by these points and purchase the one as per your choice. Read for up to 1 week on a single charge with wireless on. Turn wireless off and read for two to three weeks. Enjoy wireless coverage at home or abroad in over 100 countries. See details. Check wireless coverage map. The Sony Reader Touch Edition is an eBook reader that packs in a lot of features but still fails at delivering an extremely comfortable reading experience. 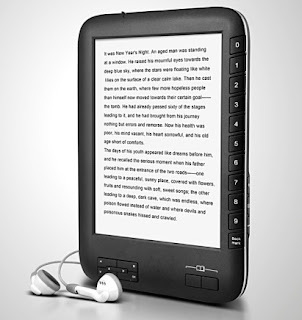 It almost has everything to be a great eBook reader but it falls short with the most basic characteristic an eBook reader should have: an eye-friendly screen. In this review, we'll discuss the pros and cons of the Sony Reader Touch Edition. 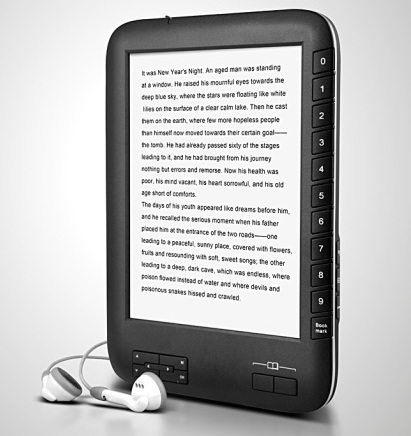 The size of this eBook reader makes it more compact than most popular eBook readers, giving it an edge in portability. The design of the Sony Reader Touch Edition is definitely sleek, complementing its touchscreen display and elegant frame. 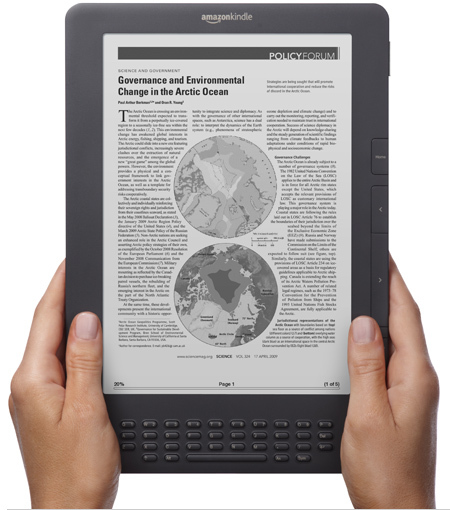 However, the eBook reader's biggest problem lies in its touchscreen display. There is too much glare on the screen that reading an eBook might become a difficult and uncomfortable experience. This design flaw causes eye strain, which may prove to be its undoing. The touchscreen makes this flaw somewhat bearable if you are not a heavy reader, but if you are constantly reading eBook after eBook, the intuitive navigation provided by the touchscreen display may not be enough to distract you from the fact that it's almost impossible to read comfortably with the constant glare on the screen. The touchscreen interface gives you an intuitive way to turn pages by either flicking the page. The option to set the direction gives you the choice of flicking forward or backward, whatever is more comfortable for you. It doesn't have a flashy interface, which is fine because its main purpose is to let you read an eBook and not be pretty. 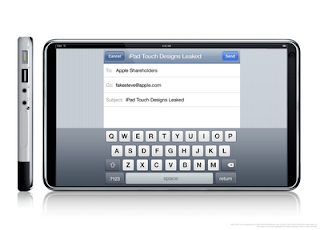 Swiping, flicking and tapping on the touchscreen makes navigating the user interface a breeze. The Sony Reader Touch Edition has a built-in dictionary that is not very exhaustive, but still pretty useful in most cases. It's very handy too since you can use it as you are reading a page without losing your place in the eBook. Just tap on a word and this feature kicks in. Double tapping a page calls upon another feature which is bookmarking. Double tap a page and it becomes bookmarked. Double tapping it again removes the bookmark. It's a very handy feature that is easily accessed. Its features, although simple, are quite elegant and handy. The battery life of the Sony Reader Touch Edition is one of its strengths. You can use it for up to 11 days before its battery gives out, which is a great way for regular readers to enjoy this device on a regular basis without the hassle of charging it every once in a while. So that was my Review and Experience about two most promising E-Readers "Amazon Kindle DX Wireless Reading Device" and "Sony's E-Reader Touch Edition (PRS650RC)" . So now its up to you which one you should purchase and make your life more easier.